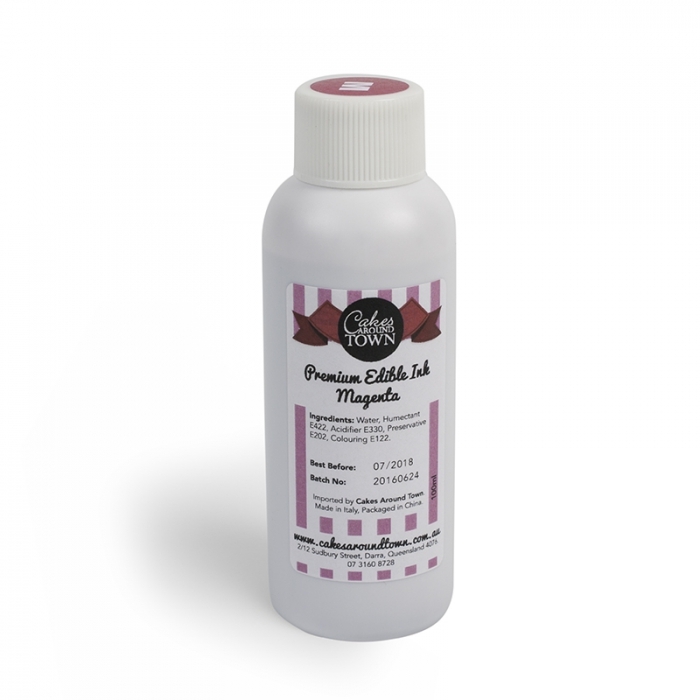 Edible Ink Refill Bottle is a specially formulated food coloring mixture for printing onto icing sheets. The colours are matched with regular inks, then modified to hold their colouring better on the icing sheets. The refill bottles allow you to easily refill the inks in each cartridge without having to buy new cartridges each time (for five refill cycles). All edible inks are FDA approved and Kosher. For your customer's safety, never swap our edible ink and standard ink cartridges on the same printer, as residue from the standard inks will contaminate the edible inks. Comes in a 100ml Bottle.